Unicorns, Dragons, and Furries. Oh, My! 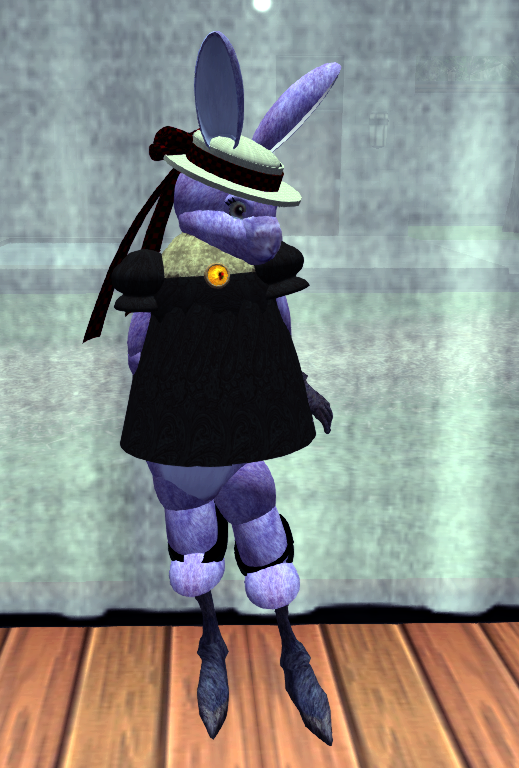 This is me as a bunneh made alive. She’s a free avatar you can get at Caledon Oxbridge Gateway – New Resident Help. 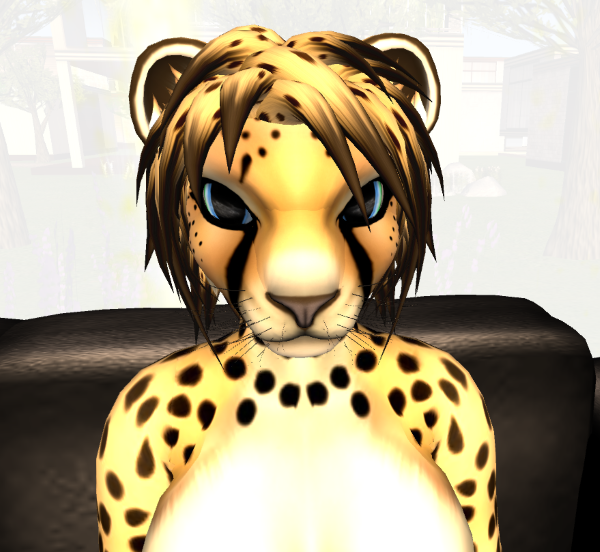 Caledon has several free avatars, and they include both humans and furries. That’s an example of the innocent. For the extreme, how does this suit you? Fantasy avatars run the gamut from the simple to the complex, and from free to very expensive. For the ultimate experience, try SL Bloodlines, an immersive experience within SL itself. As with any other interest in SL, there are groups and sims devoted to SciFi, Fantasy, and fantastic creatures. Some search topics include Fantasy, Elves, Faeries, and Browncoats. Just follow your imagination! So far, all of our talk about avatar appearance and customization have been confined to your human avatar. But what if you’d rather not be human? What if you’d rather be an animal? Can you do that in Second Life? As a matter of fact, your avatar can become an animal as easily as you became a human. You can be anything from a gentle bunny to a ferocious werewolf to a roaring dragon and anything in between. Just as with you human avatar, if you can imagine it, you can be it. Julie’s just your average SL avatar…most of the time, that is. But sometimes—particularly when the moon is full—she becomes someone, or rather, something, entirely different. On these occasions, Julie becomes Cheetah-Woman. Actually, she’s not really all that fierce—except maybe on the dance floor! You see, Julie is a “furry;” a non-human, animal-like avatar. How many furries are there in SL? It’s hard to tell, but consider this: there are hundreds thousands of groups with the words furry or furries in their names. So no, you don’t have to be a human all the time—or even at all.